From delicate dove to dramatic charcoal, our collection has shutters in every shade of this fashion-forward hue. Hundreds of gorgeous finishes to choose from. We’ll bring them all for you to browse during your in-home appointment. We meet Tracey, as she prepares to pick new shutters for the bedroom. We meet Stacey, as she showcases her beautiful white shutters in her Victorian home. 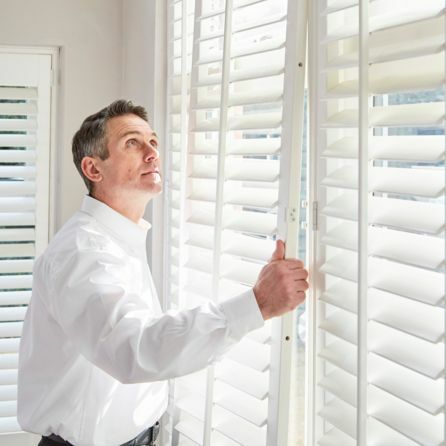 See all the different shutter styles and let us inspire you with lots of different looks for your home. We catch up with interiors writer, Will Taylor, to find out more about his ‘make-you-smile style’. Transform your home into your very own idyllic hideaway with our painted wooden shutters. Sleek, sophisticated and stylish, you’ll love how grey shutters can transform your windows. They provide an on-trend look that will also stand the test of time, so are just the ticket for fashion-conscious, yet busy homes. 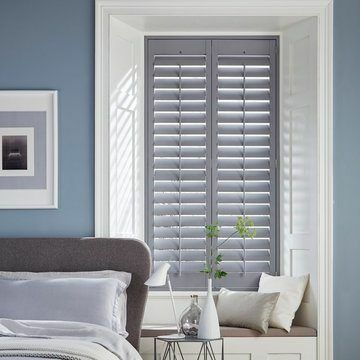 With Hillarys, you can choose the colour, style and slat width for your new grey shutters and then personalise them with tilt rods, door knobs, hinges and more, so they’ll be completely unique to you. Not sure where to start, but want the latest look at home? Our advisors are on-hand to offer expert advice at every step. 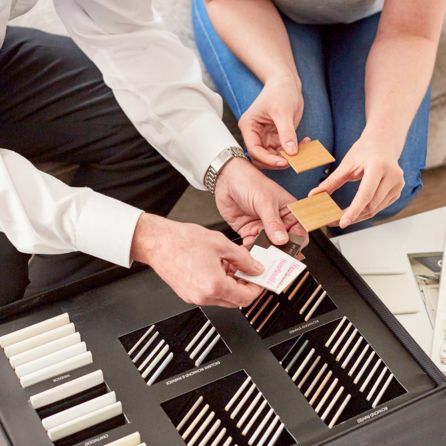 They’ll bring our range of shutters to you so you can find the shade that best complements your existing décor, guide you to the shutter style that’s the best match for your windows, and accurately measure up. Then once you’ve chosen, we’ll also return to fit. Book your free home appointment today and discover the beauty of Hillarys made-to-measure grey shutters.